Play almost all Mortal Kombat characters and fight in an epic duel. 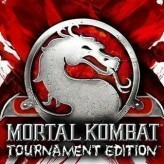 Perform special moves and brutally rip your opponent apart in Ultimate Mortal Kombat Trilogy! Use hidden characters like Sheeva and all characters from the Genesis and MegaDrive versions. 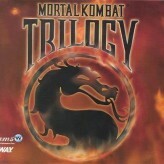 Ultimate Mortal Kombat Trilogy (UMK Trilogy) is a fighting arcade game created by KABAL_MK. This fan made game adds nearly all playable characters from the Genesis/MegaDrive versions. 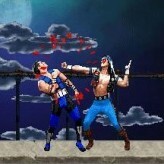 This includes all characters from Mortal Kombat 1, 2, and 3. The game also includes some secret characters like Sheeva. On top of that, Ultimate Mortal Kombat Trilogy also features new backgrounds, specials, combos, finishing moves, and missing audio samples that you can’t witness on all the other versions prior to this. 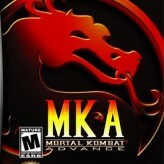 There are over 56 characters to choose from including multiple versions of the same character that came from different versions of the MK series. Only 1-Player Mode is available. There have been 197,573 plays and 1393 likes from 1761 votes (80%) since 01/12/2015. 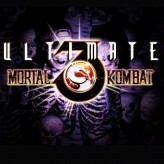 You are currently playing Ultimate Mortal Kombat Trilogy game for free on Arcade Spot. It is a single game out of a variety of games that you can play on Arcade Spot. Play more games like Ultimate Mortal Kombat Trilogy in the Action, Arcade, Emulator, Fighting, Retro, and SEGA gaming categories. This game has a rating of 80 out of 100 based on 1761 user ratings. If you enjoyed playing the game, give it a thumbs up. Free Online Games and Arcade Games are added every day. Arcade Spot will bring you the best games without downloading and a fun online gaming experience on the internet.